How about a little mood music? 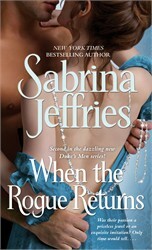 New York Times bestselling author Sabrina Jeffries stopped by XOXOAD to dish a little bit about what gets her in the mood…for writing that is! If you’re like Sabrina, (or most of us here at XOXOAD) you enjoy listening to music while you read/write. 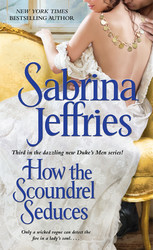 Check out Sabrina’s awesome playlist for her latest title in the Duke’s Men series, How The Scoundrel Seduces! Some writers use collages to gather their disparate thoughts about a work. I’m not visual, so I use music. Every time I begin writing a new book, I compile a playlist of songs tailored for that specific story. It’s usually a strange mix of pop, Celtic, rock, and folk selections that I pull from, well, everywhere. The songs don’t mirror the book exactly. They just give a flavor of the story or the characters or the mood. Notice that they range all over in genre, from pop to rock to folk to soundtracks to Celtic. I think of these as “soundtracks” to the book, although I can’t really listen to them while I’m writing, because the lyrics interfere. I just listen to them to put me in the mood or root me in the feel of the story. But I know some people listen to music while reading. Do you listen to music while reading? What do you think of writers’ playlists?